Oh sweet September, Virgo’s are the stars of your month! September is the months for celebrating Virgo, the kind, hardworking, and practical sign. 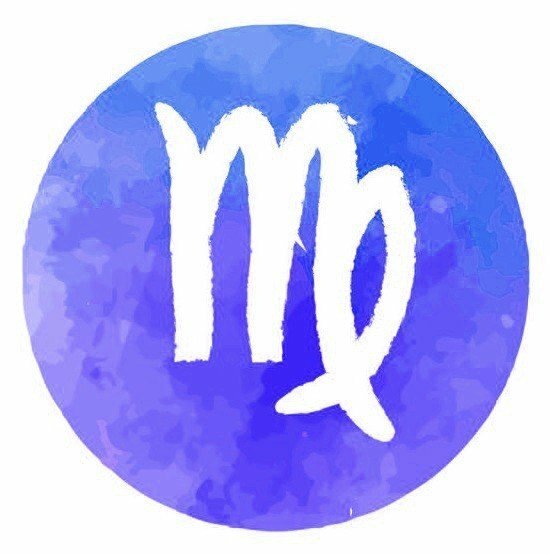 Virgos are also known for their intellect, tend to love art, science, literature, and mathematics, and usually excel at detailed work. Why not remind yourself how amazing your mind is everyday with a beautiful mala bracelet that shows off your birthstone? Virgo’s tend to appear very practical and shy. They may get stuck on minor details but this makes them great at organization. 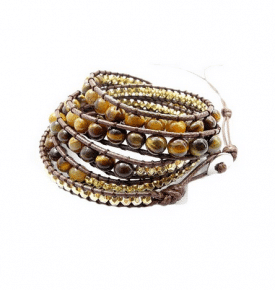 Virgo’s don’t give into your shyness this month but shine bright and show off your style with our beautiful handcrafted mala September bracelet. 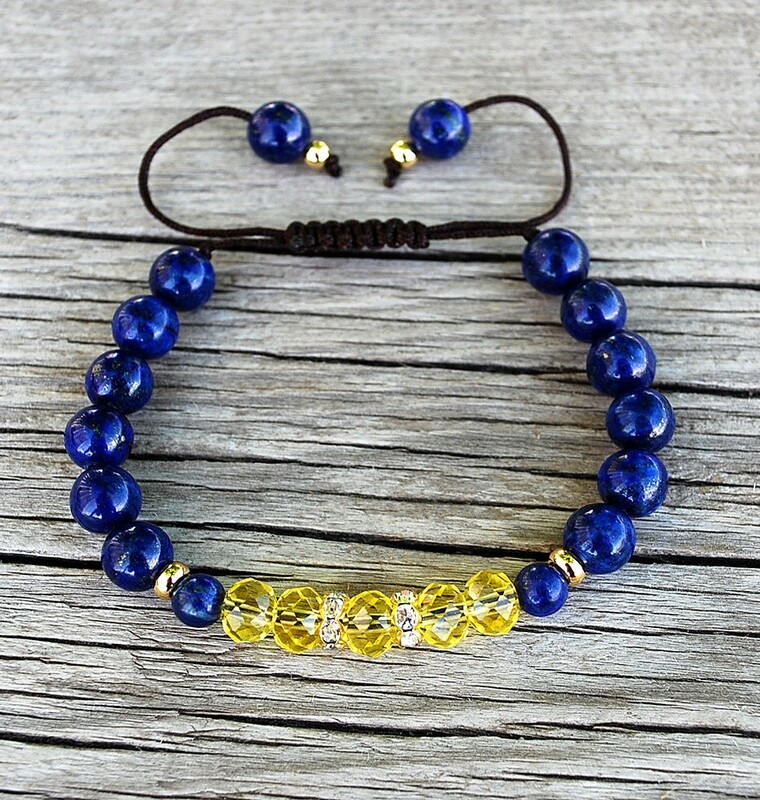 This bracelet is sure to set you apart with its incorporation of lapis, citrine and quartz. The citrine may help Virgo’s open up their mind, releasing negative feelings and emotions while the quartz helps in focusing the positive energy on the tasks Virgo’s need to get done. This bracelet has the perfect pairings for Virgo’s to accomplish all their pressing and personal tasks! 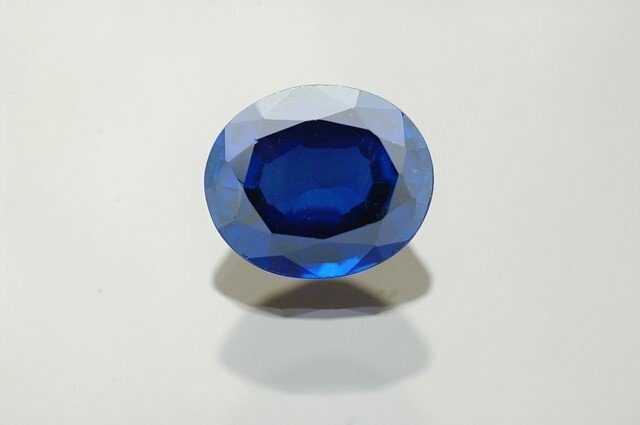 Sapphire: The most traditional and thought of birthstone this month. Sapphires convey wisdom and royalty. They create mental clarity and stimulate the throat chakra. Lapis Lazuli: This stone creates a great connection to the starry night skies and heavens. Lapis lazuli has a distinguished and ancient history from Pharaoh’s in Egypt to Russian royalty! This stone may help with headaches, cramps and sore throats. It promotes mental clarity and focus making it the perfect stone for Virgo’s when they need that added attention to details! Our Lapis Lazuli prayer beads can help any Virgo achieve all they set their mind too this month! Sodalite: This stone is aptly named due to its high sodium content. It usually is seen in a rich royal blue. Sodalite is an assistive stone and may help heal emotional wounds. 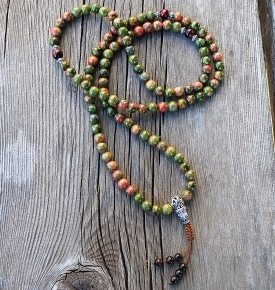 Virgo’s can feel confident making emotional decisions while wearing, The Virgo Inspired Mala. 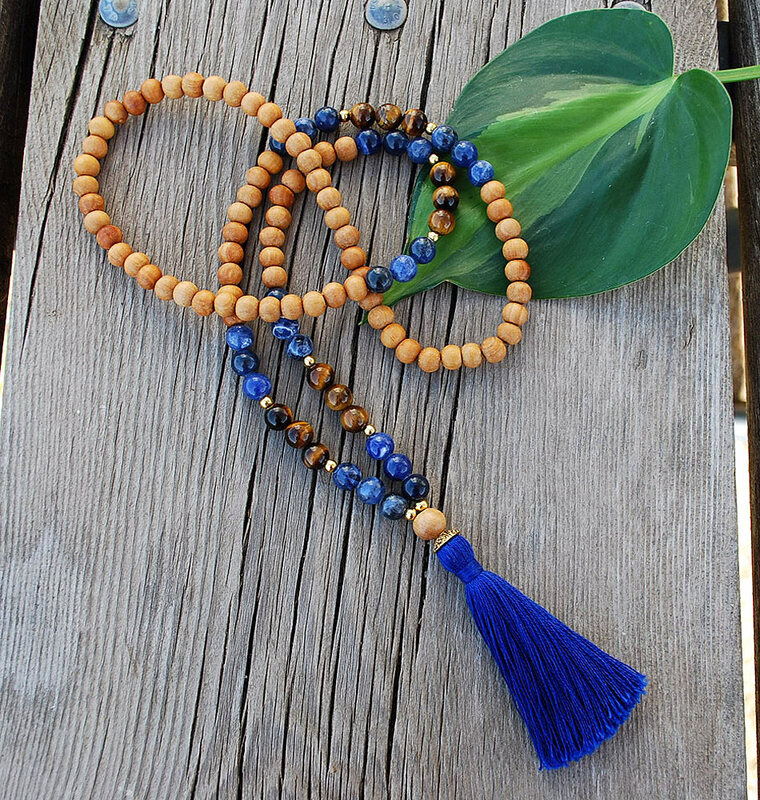 This handcrafted mala accentuates the dark blue of lapis and sodalite with wooden beads. Virgo is an Earth sign along with Taurus and Capricorn. Virgo is an adaptable and resourceful sign, known for quiet reasoning and a strong memory, but they can sometimes bottle things up. Lapis lazuli is considered to be a stone of truth and friendship all around the world. It is said to promote harmony in relationships as well as providing relief for headaches, cramps, sore throats, stiffness, varicose veins, and fertility problems. Citrine is said to open the higher mind, allowing you to more easily accept joy while working to release negative emotions, anger, fears, and destructive tendencies. It is also said to help raise self-esteem and reduce sensitivity to criticism while inspiring self-expression and creativity in the wearer. Quartz crystals magnify the stones around them and assist in focusing the wearer’s energy toward their goals. Clear quartz crystals are perfect for purifying meditative practices and quartz of all kinds can help to bring spiritual clarity into your life. 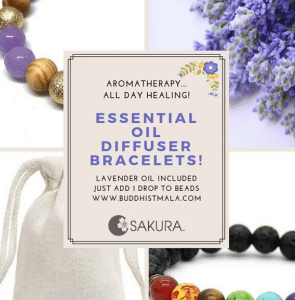 The zodiac bracelet helps provide a great connection to your sign, all while boosting your energy, mood, and self-esteem. The bracelet contains the September birthstone Lapis as well as citrine, quartz, spacers, and a focal bead, arraigned in a calm but striking color scheme fitting for Virgo. 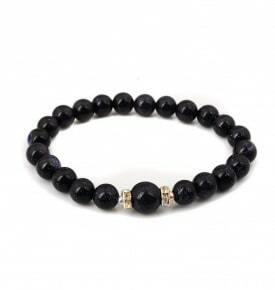 You can stack multiple bracelets for aesthetic purposes or use a single bracelet more traditionally, for prayer. Whichever bracelet or full size mala you choose, know that Virgo’s will be truly satisfied in their choice with a 30 day money back guarantee. Give these as a gift to your special Virgo, or spoil yourself this birthday! 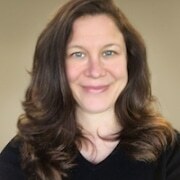 Hello your jewelry is beautiful! I wanted to know if a mala bracelet can be made out of beading wire, like beadalon, if someone is allergic or does not like wearing stretchy bracelet? Also there are so many bead numbers out there, 108, 54, 27, and now 21. All the 3 former are multiples of 9, but 21 is not, so how sacred is the number 21? Also I know on the 108 necklace we do not count the guru bead, so I would like to know if that applies to the bracelet also? 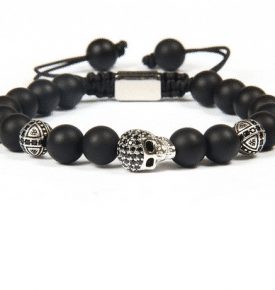 Do we couny the guru bead on a bracelet or not? Thank you for your time.